Great quality vinyl sticker. This sticker is cut out from high quality. sticker 100mm x100mm (3,94" x 3,94"). All stickers are individually cut. 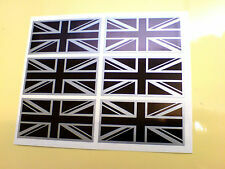 A SET OF 6 UNION JACK FLAGS stickers. Size 50mm x 25mm. All stickers / decals are produced using solvent ink on an exterior top quality self adhesive vinyl, which is resistant to weathering and fading. PRODUCED FROM HIGH GRADE VEHICLE VINYL,EXTERIOR/INTERIOR SELF ADHESIVE. 2 off TOUR DE CORSE Retro Rally Car Stickers. Size 150mm wide x 58mm tall, contour cut to shape. All stickers / decals are produced using solvent ink on an exterior top quality self adhesive vinyl, which is resistant to weathering and fading. Designed to replace front or rear emblem on the majority of JEEP vehicles. Can directly replace worn or missing badges. Here are the highest quality cast vinyl hi temperature JAGUAR brake caliper decals. You will receive 3 x 80mm and 3 x 55mm Jaguar brake caliper decals as follows Range of Cool Colours (see colour chart). Suitable to BMW 1 2 3 4 Series X1. Unique stylish design. It also can add a fashionable look to your switch. 1 Switch Cover. We will try our best to reduce the risk of the custom duties. Material: Aluminum Alloy. (Key fob not included). you can be rest assured that we Superb Original Quality. ☑ Ensure only the best quality products get to you. Are you sure this is the right product for you?. Order Before 3pm . (Easy Peel & Stick. These costs are calculated during checkout. Get Social. More Information. Oh and free limited edition Mr Oilcan Sticker with all orders :). Designed & manufactured in Great Britain. Silver M Performance Sticker Badge. Platinum Distributers. Type - Sticker. • There may a slight deviation in colour of actual product due to lighting affect when taking photographs. Colour - Silver. 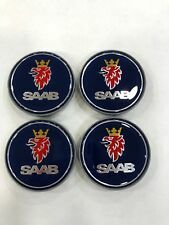 BLUE CLASSIC SAAB BADGE EMBLEM. We will do our best. Here you will receive 1x "MK6 Squad" car shape vinyl stickers made for and based on the Mk6 Ford Fiesta ST / Zetec-S Roof spoiler can be removed if requested. Made from high quality 5-7 year vinyl Standard Size : 18 cm (180mm) Length Standard colour : WHITE Want a Different colour or size? If you want a different colour and size then please leave a 'note during check out (note to seller) or send us a message after purchase If you don't let us know then the stickers will be sent in the standard size and colour as seen at the top. PLEASE REFER TO THE BELOW CHARTS FOR ALLOWED COLOURS AND SIZES These are the sizes available for this sticker. Sizes refer to the longest part of the sticker 14cm (140mm) Long 18cm (180mm) Long 21cm (210mm) Long we can do this sticker in any size between 14cm and 21cm long if you just let us know. BRAKE CALIPERS DECALS. 8 x BMW M POWER. 4 x (56x18mm). NEW STICKERS GLOW IN DARK VINYL LIMITED QUANTITY. HIGH QUALITY VINYL. It will be illuminated depends on how long it will be under light. Size: 29cm x 3.2cm. The white background on the photo, is the colour of the carrier film, and not white. the white area's are the colour of your vehicle. Vinyl Decal Letters Sticking to the Backing Paper. Premium Grade Exterior Vinyl. To Receive Reversed (For applying to the inside of Windows). Size: 95 x 13 mm approx. Vinyl decals that have text must be removed from the paper very carefully. THESE WILL LOOK AMAZING ON DIFFERENT LOCATIONS SUCH AS FRONT WINGS, TAILGATE, SEATS, DASHBOARD OR ANYWHERE YOU WOULD LIKE. PLACE BADGE ON DESIRED POSITION AND PRESS SO IT ADHERES. MAKE SURE THERE IS NO RESIDUE AND SURFACE DRY. 3D Matt Carbon Fibre Vinyl Wrap. 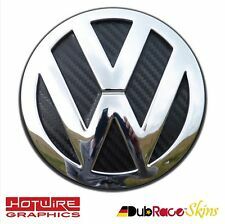 - 3D carbon is the most popular carbon fibre vinyl in the market. - The carbon fibre texture in matt finish. - Self Adhesive. - Easy to Apply. - The most close to the real material. THIS DECAL CAN BE CUT IN REVERSE TO APPLY TO INSIDE WINDOW IF REQUESTED. REAR WINDOW STICKERS. "TEXT PLUS LINES AT EITHER SIDE. SEE PHOTO, AND IMAGES ABOVE. OUTSIDE IN POSITIVE, OR FOR INSIDE IN NEGATIVE CUT. Best Quality Aluminium Self Adhesive emblems easy to apply instead or on top of your old ones. Set of 4 x 60mm. Size: 30 150cm(Approx.). (enough for 2 headlights or 2 tail lights). Light Smoke Black Tint Film Vinyl Sticker for Car Headlights or Taillights. Can be applied to tail lights, headlights, dash, stereos, brake lights, fog lights, etc. QUANTITY: X2. Quality Stickers: All of our stickers are waterproof & weather proof! We print the most durable stickers in the industry.Each full-color outdoor sticker is output onto our custom vinyl material at 1440dpi. For BMW 5 7 Series F10 F01 F02 F03 F04. - The car decal is durable to heat and sunlight, it's not faded at least for years. - Personalized Brakes Light sticker, which makes your car's personalized look. (This Decal / sticker is printed on blackout Vinyl. High Quality Vinyl Decal Form WaterShed Designs. Pro Quality Vinyl Decal (100 grade). not a paper sticker. Stickers can be clear coated. order for testing your clear coat/lacquer). 2 x Honda Civic Type R Side Skirt decals FN2(new shape). It is not printed onto any colour background,the colours are laid ontop. and Silver Background.